Easter is such a fun time of year in the classroom. There are so many educational activities that can be done around those little plastic eggs, Peeps, and jelly beans. While I don't particularly care to eat jelly beans or Peeps, they do make for a great STEM activity! The following are four engaging classroom STEM activities that are perfect for the Easter season. The first Easter themed STEM activity is build a Peep tower. For this STEM activity students work together to build the tallest tower using only Peeps and toothpicks. 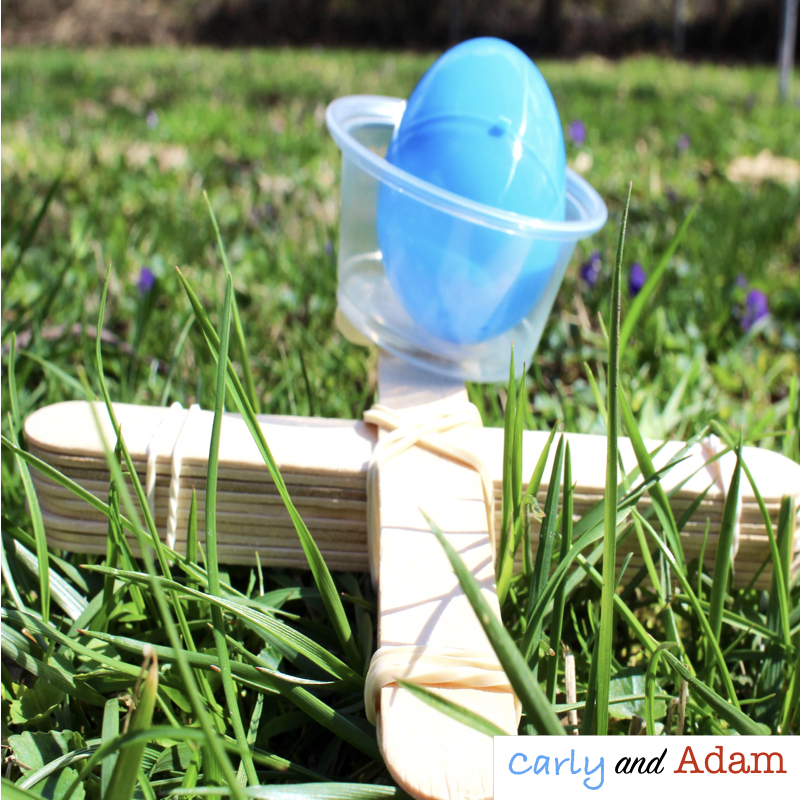 Another fun Easter themed STEM activity is the plastic egg launcher. For this STEM activity students build a catapult out of popsicle sticks, rubber bands, tape, and a small condiment cup. The catapult that launches a plastic egg the farthest distance is the winner of the challenge. The plastic egg tower STEM challenge seems like an easy task, however it is much more difficult than it looks. For this challenge students must build a tower out of plastic eggs and Play-Doh to protect the Peep from getting eaten. The tallest tower is the winner of this challenge. Students are sure to flip for this jelly bean bottle flipping STEM activity. For this activity students test three bottles of jelly beans (1/3 full, 1/2 full, and full) to see which amount of jelly beans is best for getting the most vertical landings. For more STEM fun throughout the year be sure to check out our STEM Mega Bundle! All of these Easter resources are included in this pack along with many more to keep students engaged in STEM learning all year long.